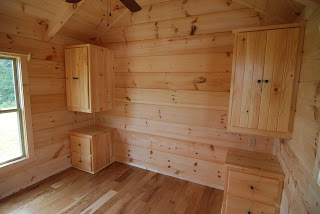 Here’s a great RV Park Model ready to ship to the lucky owners, Wayne & Doris. 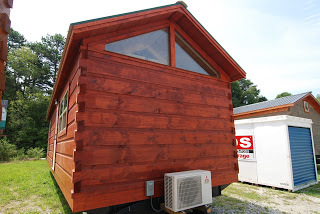 The original design was the Swedish Steam. 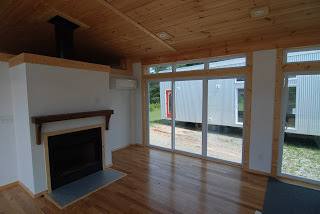 The owners requested a 7:12 roof pitch for a more open airy feel, a gable windows for added light and ambiance, and a stone fireplace for that authentic lodge feel. 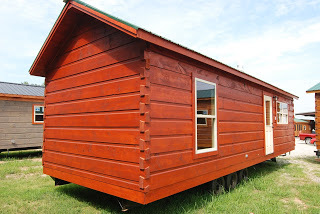 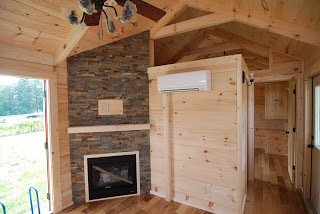 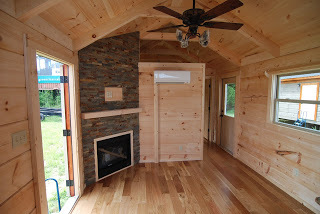 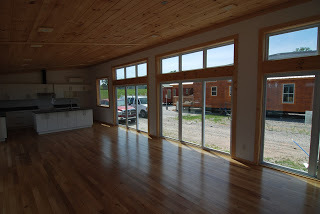 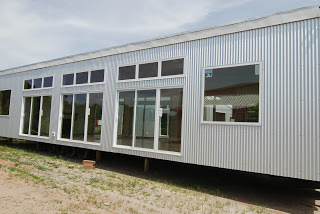 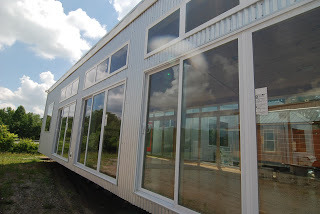 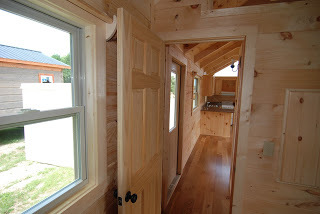 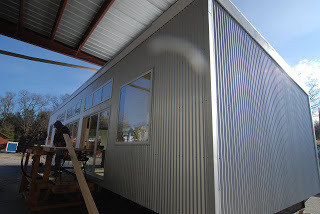 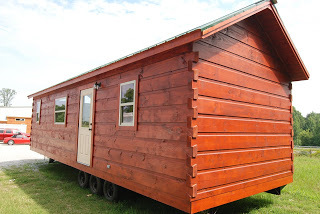 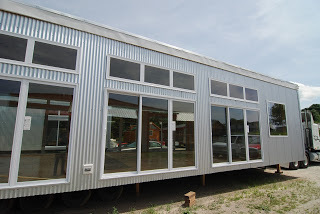 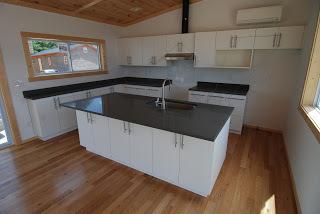 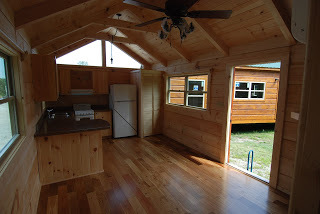 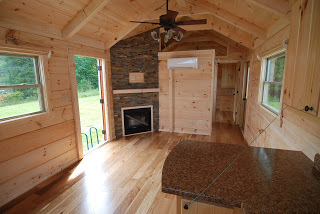 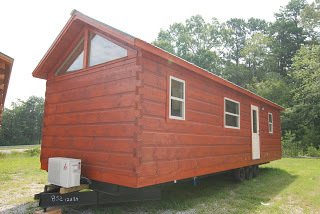 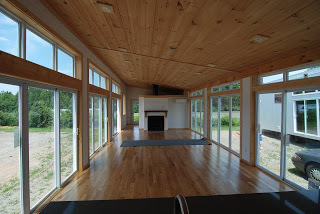 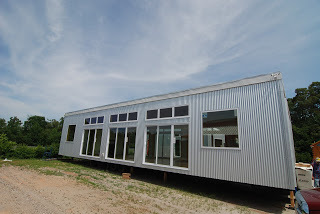 This cabin is turn key with everything you need to move in and start living cabin style. 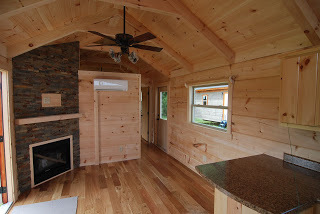 Give us a call and Let’s build a cabin together! 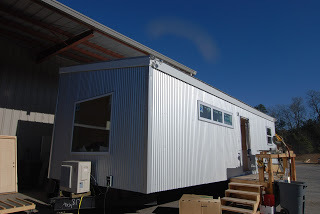 THREE SEPARATE UNITS CONNECTED ON SITE WITH BREZEWAYS. 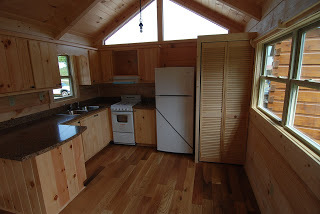 MAIN UNIT WITH KITCHEN, GENEROUS LIVING AREA, AND LAUNDRY. 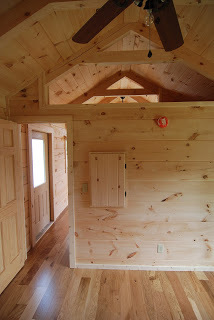 TWO GUEST HOUSING UNITS COMPLETE WITH BATHROOMS AND CLOSETS, SEPARATE ENTRANCES.